Internal restructuring of an early Victorian townhouse. As with many houses of this period, the building is an accumulation of various alterations and additions over time, the most significant of which is a 1980’s roof extension and double height living space to the rear, to which a full height picture window frames the local church spire. Within this context, the main alterations focus on giving spatial logic to the inherited form of the building. The stair, which runs through the full height of the house, is treated as a vertical folded sculptural element integrating the various levels. 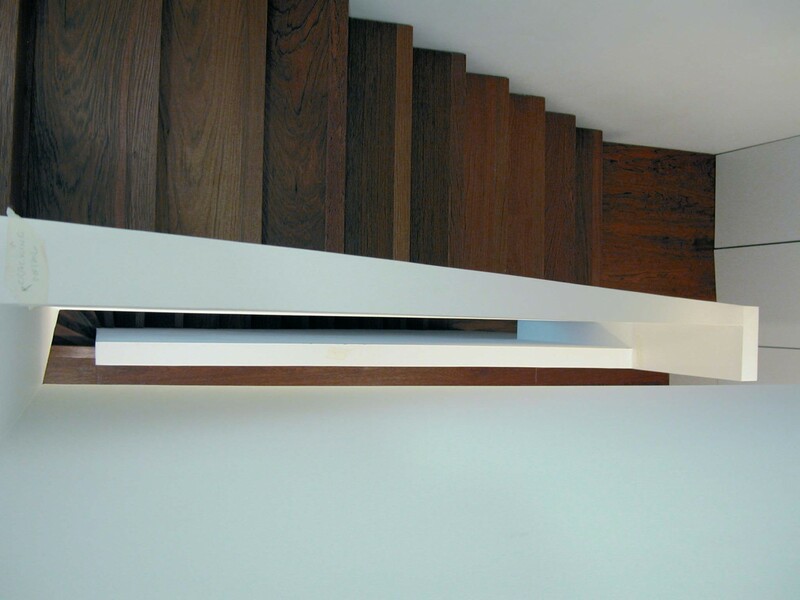 The stair is treated as a piece of joinery, a modern interpretation of the traditional stair, having a complex geometry as its form flexes according to the functional requirements at each landing in its vertical progression through the house. Opening up the conventional ‘boxed’ structure of the various rooms on the ground and lower ground levels to better integrate the double height space with the reception rooms brings a sense of fluidity between the living spaces. The overlapping spaces foster a sense of openness that coexists with a clearly defined social and spatial hierarchy appropriate to a contemporary family dwelling. 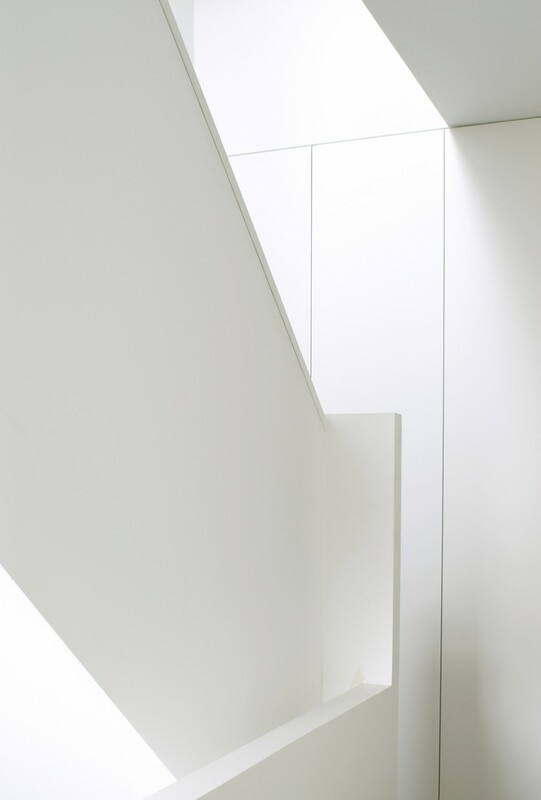 The material palette is deliberately limited to emphasise the lightness of the rooms, and to highlight the importance of the staircase and floors as the unifying elements of the design.